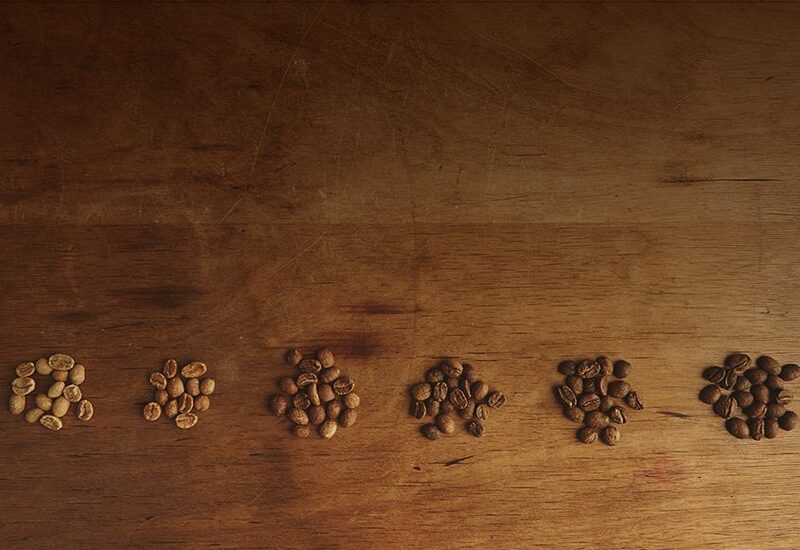 eightpointnine are a subscription-based coffee company in Brighton. Their website was broken. It was slow to load, didn’t respond very well on mobile devices, and wasn’t scalable for the type of content the marketing team wanted to promote. 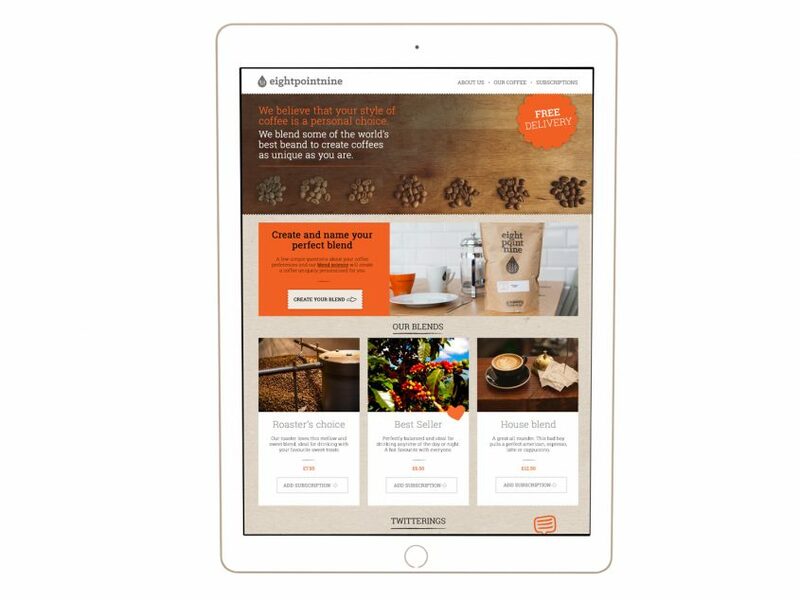 Our web development partner BrightMinded referred eightpointnine to us to help fix their website and create a new customer journey for ordering online coffee subscriptions, via WordPress’ eCommerce platform WooCommerce. Being rather partial to coffee at Borderless HQ, this was a dream job! We used a combination of the website’s current Google Analytics report and Hotjar to understand why the current ordering process wasn’t working. We could see bugs in the system, very unclear labels and user instructions, and images that looked like they should be clickable, but weren’t. Customers were becoming really confused as they progressed through the ordering process. It just wasn’t working for them. Our research highlighted several other issues that users were experiencing, so we decided to do a full content and task audit of eightpointnine’s current site and create a series of personas to plan the content around. We worked with the internal team to develop some simple prototype wireframes, and distributed them to a selection of potential and existing users to test our assumptions. 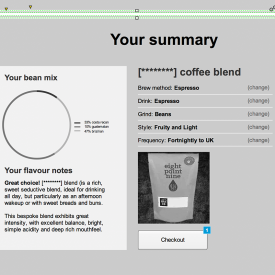 We tweaked the wireframes again and again based on their feedback, until we hit the nail on the head. 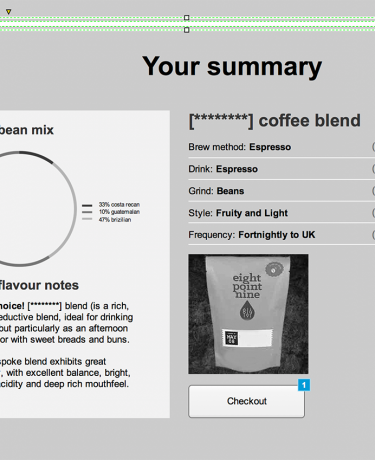 The new ordering process is highly intuitive and navigable, allowing customers to personalise their own unique coffee blend quickly and easily. We kept the overarching website design very simple, working within eightpointnine’s existing brand guidelines to create a fresher, cleaner look and feel. We focused the content around the blend personalisation process, making sure it was easily accessible from any point within the website. 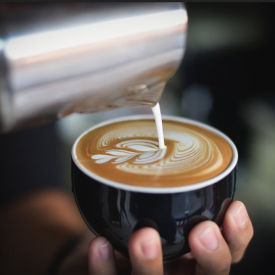 We also suggested additional content on the coffee beans, the producers and the production process to support the brand story and help customers feel connected to the products they’re buying. 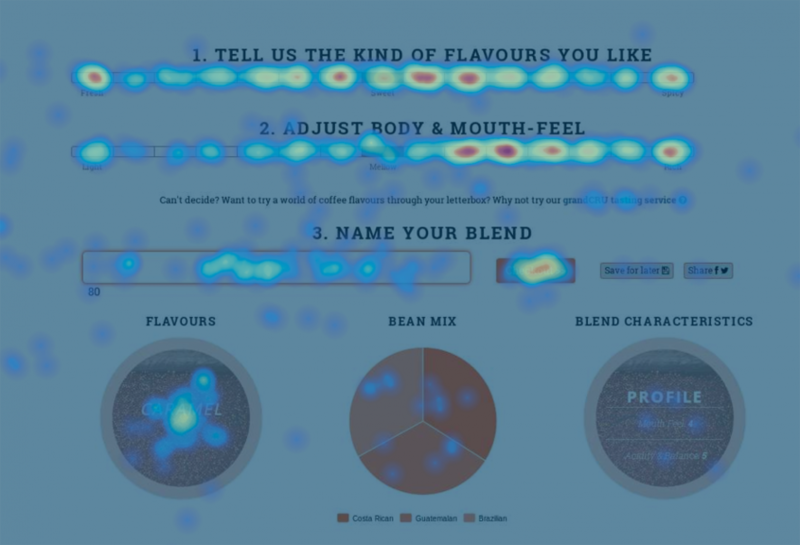 We took a slightly different approach to the blend personalisation page, removing the page furniture to allow the user to focus completely on the task in hand. We liked: conducting real-life user testing. 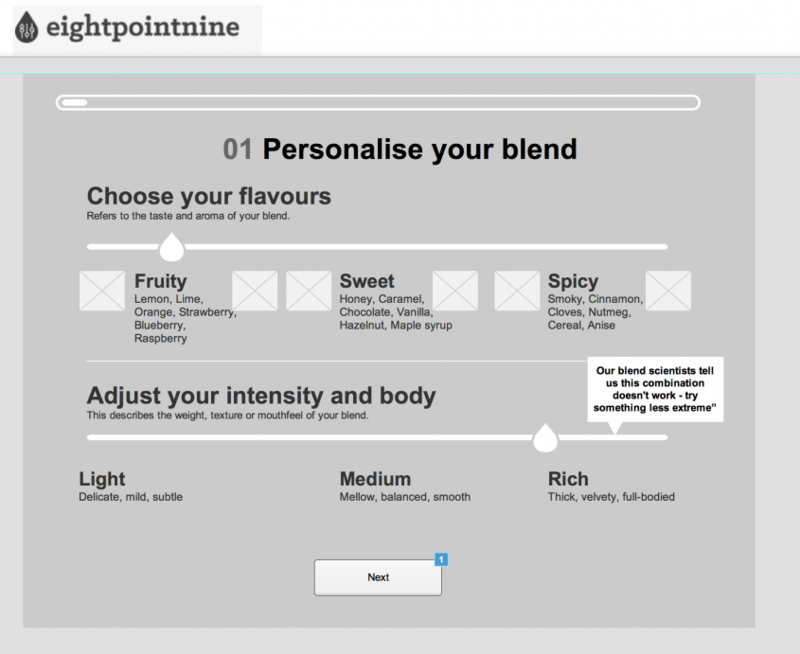 As well as allowing us to shape the personalisation funnel, it gave us some brilliant insight into eightpointnine’s unique process and its wider website.